It is not the first time that side characters are released as Unibears, but it is an especially rare treat to have, not one, but two – Mrs. Potts and Chip. Mrs. Pott’s Unibear goes under the name of La Mere whose literal French meaning is “the mother” and Chip’s is Ma Puce which literally means “my chip” or more aptly, “my little one”. Standing at a height of 20 cm. Chip’s Unibear, Ma Puce, is the smallest Unibear to date. His eyes are a shade of blue, his body is entirely white, and yellow colours his nose, tail, and paw pads. Ma Puce is adorned with a long collar that resembles the base of his animated teacup character. La Mere is of the same size as the Unibears of Chip and Dale. Like her son, her entire body is white while pink colours her nose and yellow for her tail and paw pads. Both Chip and Mrs. Potts are sold separately as opposed to coming as a set. A particular feature to note are their tails which are meant to resemble the handle portions of their animated counterparts. 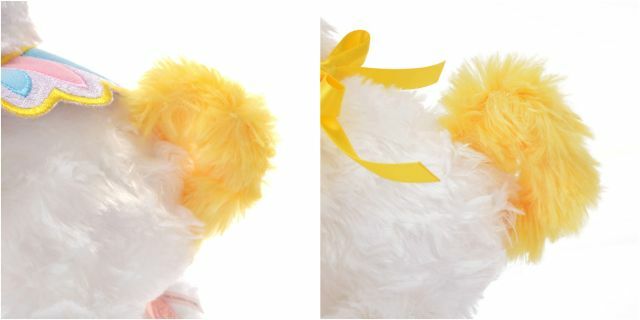 Rather than a nub, it is shaped into a ring and made of a darker shade of yellow compared to the nose and pads. 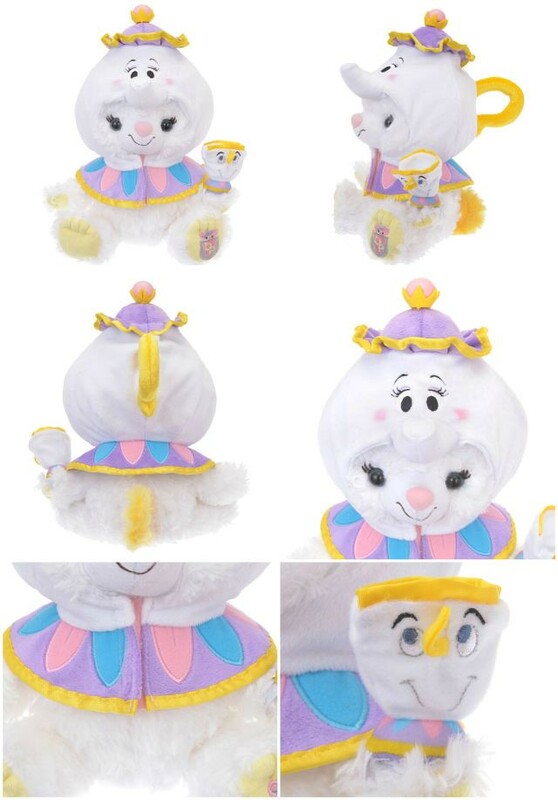 A separate costume is available for purchase in the form of the headpiece of Mrs. Potts. 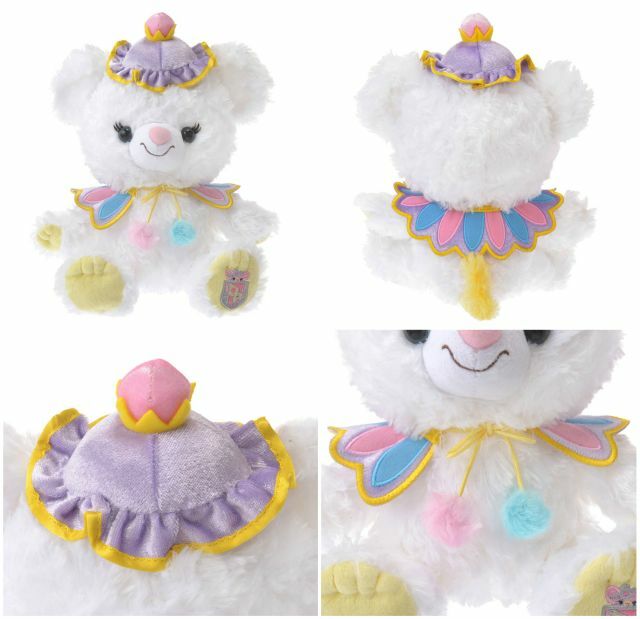 The body of Mrs. Potts wraps around the Unibear head with the upper part of the face and spout can be visibly seen. Chip comes as a small accessory which can be attached to the paw. There does not seem to be a costume for Chip’s Unibear. 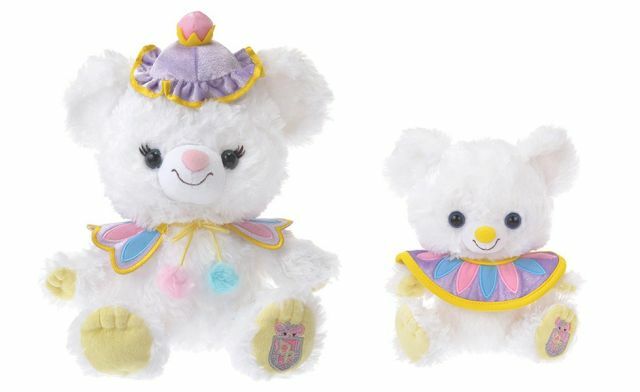 La Mere and Ma Puce are scheduled to release in Japan Disney Stores on May 21st. The release of two more Unibear side characters from BATB is scheduled next month – Lumiere and Cogsworth. More details to come!